New York, NY, November 17, 2016 — MCW Global held its fourth Community Leaders Seminar from October 19-21 in Lusaka, Zambia to enhance the capacity of MCW’s local managers to operate high-impact, financially and socially sustainable community centers in their respective communities. Bringing together the leadership of MCW’s international network, the seminar reinforced the shared purpose across MCW stakeholders and established a common understanding of shared policies and parameters. 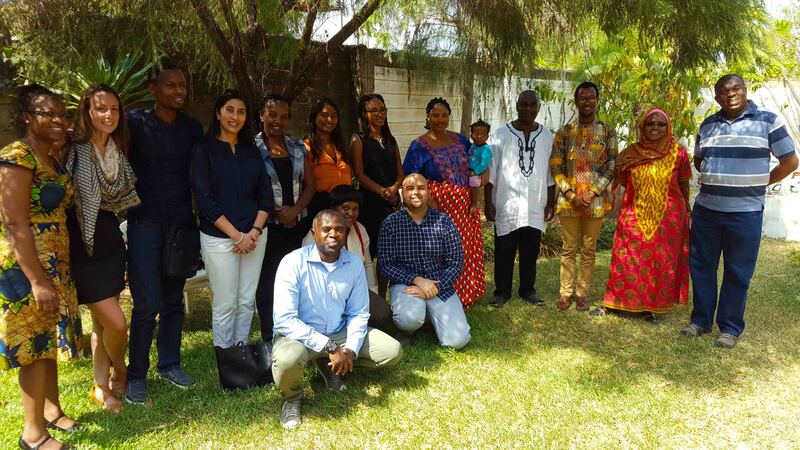 Topics included innovation and cost-effective programming, financial accountability and reporting, reporting against objectives, establishing monitoring and evaluation, and resource mobilization. Updates were also given on MCW’s strategic plans, programs, and objectives. Seminar participants included Board Members and Country Directors of MCW partner organizations in Africa, including Rwanda, Tanzania, and Zambia. Also in attendance were MCW Global team members including Chief Operating Officer Khalid Elachi, MCW staff member Nitya Ramanathan, and MCW Board Member Humera Qazi. In addition to attending the seminar, MCW team members also visited the MC-Zambia center in Chanyanya to see first-hand the programs currently offered, including classes in literacy education, computer technology, and tailoring, providing the team with an opportunity to meet the beneficiaries of the center’s programs.